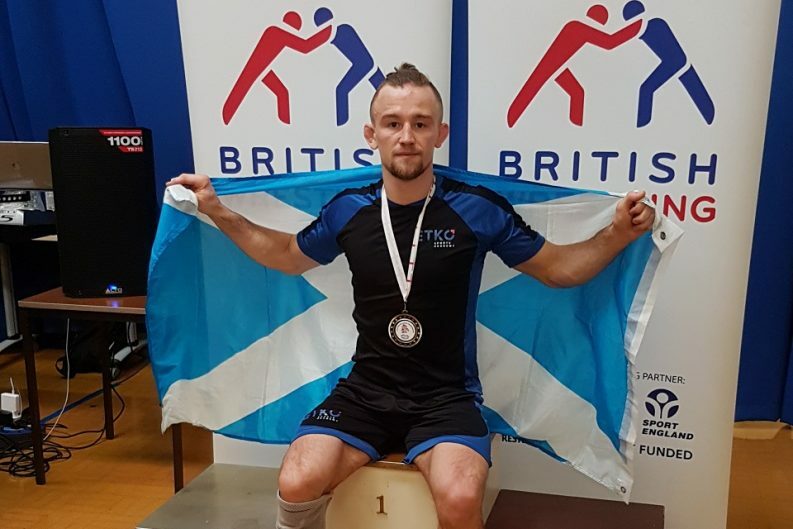 An Oldmeldrum-based wrestler took the podium top spot this weekend (Saturday, 23 February 2019) at the English Senior Open Wrestling Championships held at the British Wrestling Academy in Greater Manchester. Nicolae (Nico) Cojocaru (31), a wrestling and fitness instructor with ETKO Sports Academy, claimed gold for the company’s competitive wrestling division, ETKO Wrestling Academy. Nico’s title in the 74kg category on Saturday follows a bronze medal earlier in the month at the Grand Prix de France in Nice. He is a five-times British title holder, having won his fifth British Wrestling Championships in October 2018. Nico works alongside – and trains with – the current World Veteran Wrestling Champion, Viorel (Vio) Etko, who founded ETKO Sports Academy with his wife Laura in 2010. In addition to delivering the competitive wrestling programme, the pair run a popular range of wrestling sessions for juniors. Over 80 boys and girls are now registered within ETKO Sports Academy’s Mighty Movers and Wrestling4All programmes.